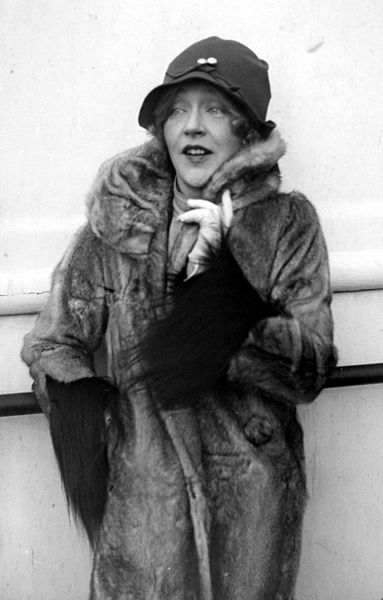 Mae Murray was a huge star in the silent era. 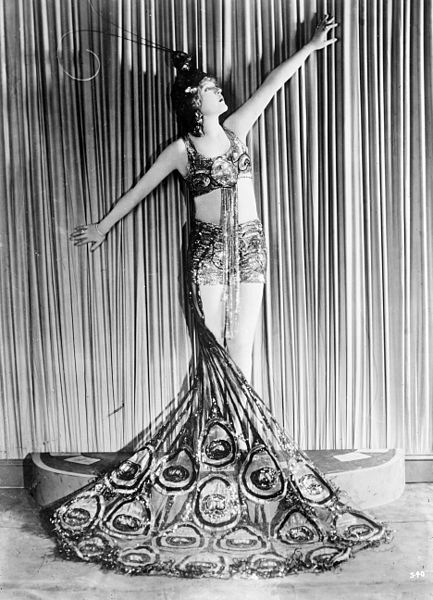 Her most famous role was as the glittering goddess of Erich von Stroheim's The Merry Widow (1925). The woman who gracefully swooned in John Gilbert's arms as they swooped around the dance floor in that grand film should have been immortalized with Garbo. And we would know her better today if she hadn't doomed herself with a couple of key decisions that shot her from the top of her profession to poverty. It's a good thing she had friends. Ankerich took on a daunting task: telling the story of a woman who, as Homer Simpson said, would rather write fiction with her mouth than acknowledge inconvenient facts. An amusing, and sometimes tragic, thing about Murray's artifice, was that she did not deny it. She once said, "I am not a realist by nature, and for me to try and become one would only make me acutely unhappy." The story in this book is a victory over those fantasies, but it does not ignore them. I can't entirely blame Ms. Mae for insisting on only seeing the bright side, though it did destroy her decision-making skills. Once you know the whole truth about her life, it seems like such a waste. If only she'd she hadn't married "Prince" David Mdvani, who convinced her to give up her career at its peak, gave her a child, who she then lost, and left her after he drained her finances. If only she'd stopped waltzing down the streets of Hollywood humming the Merry Widow Waltz to herself and thought up a good career plan. Oh why didn't she stay married to Robert Leonard, who was loyal to her, and directed her in her most popular roles? Well he was jealous; I'll give her that one. But these quirks also created the star Mae Murray. She was eccentric, romantic and dedicated to her public, which she always imagined to be enormous. 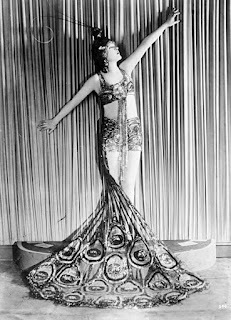 While that was not always the case in later years, there was always at least a little love out there for the Ziegfeld Follies dancer who pushed aside a New York childhood of depressing poverty to become a Broadway star and the queen of MGM. After hearing of her airs and artifice, I did not expect Murray to come off as kind as she did. She was amazingly generous. In the early days of her career, she would give free dancing exhibitions and teach steps to the children in her old Lower East Side neighborhood. As a young Hollywood star, she took Loretta Young and her cousin under her wing when Young's mother could not afford to keep them. She let the girls enjoy her luxurious home as they desired, and allowed them to return home for family time whenever they wished. In Bachelor Apartment (1931), one of her last films, she would intentionally ruin scenes so that she could coach young co-star Irene Dunne on how to appear to better advantage in the next take. Murray also made loyal friends, among them Rudolph Valentino (who was also briefly her lover), director and actor Lowell Sherman and a young George Hamilton. Relationships like these saved her life when her fortune disappeared. Friends gave her money for groceries or tried to find her work, because while she could often seem entitled, she intrigued them. She also aroused their sympathy. It seems that Murray's directors were not among her lifelong friends. She was defiant, opinionated and the queen of airs on her sets. As far as she was concerned, the star steered the ship. Even tough-willed von Stroheim was not authoritative enough to avoid the wrath of The Girl With the Bee-Stung Lips. It is a miracle that The Merry Widow was even made, let alone that it was a brilliant success. Though I feared that the unpleasant aspects of Mae's story would make for uneasy reading, the book sucked me in, because her eccentricities amused me so much. She may not have been practical, but she was also never boring. Murray has often been compared to Norma Desmond, as portrayed by Gloria Swanson in Sunset Boulevard (1950). I can see the resemblance, but I always found that character pathetic, and while Mae did find her self in pathetic situations, I never felt that way about the woman. The fantasy she wove around herself did just enough to let her glide through life, and she knew it was a dream. 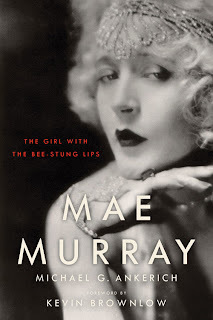 Lasting love eluded her, she never won back her career and she died in poverty, but Murray clung to that glorious fog. I was happy to join her. Having not seen many of Murray's films, I found it difficult to understand why she appealed to her fans. 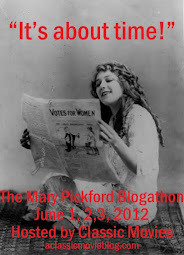 Yes, she was an oddball, and a symbol of the wild jazz age, but what did her audience see? I wanted more detail about her performances and more speculation as to what it was that made her attractive to her generation. As a document of her life, the book left me satisfied and thoroughly in love with Ms. Murray. Thank you to University Press of Kentucky for providing a review copy of the book. Thank you Desiree. You are so kind! I'm so honored to be on the list with my good friend Monty.